During the Artnight Den Bosch 2013 a special version -of the in Beijing Design Week presented- Breathing Cloud is to be seen in het gallery Henk Wolvers Porcelein in the Museumquarters of ‘s-Hertogenbosch (NL). 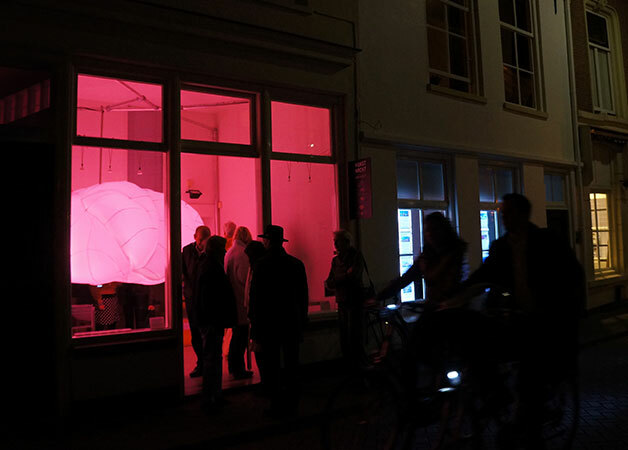 The programm of the art intitutions of 's-Hertogenbosch form the Artnight. During this night you can experience performances, movies, expositions, dj’s, interactive games and cross-overs of different cultural locations.